noun — rook·ie \ˈru̇-kē\ — : a first-year player in a professional sport, or a person who has just started a job or activity and has little experience. 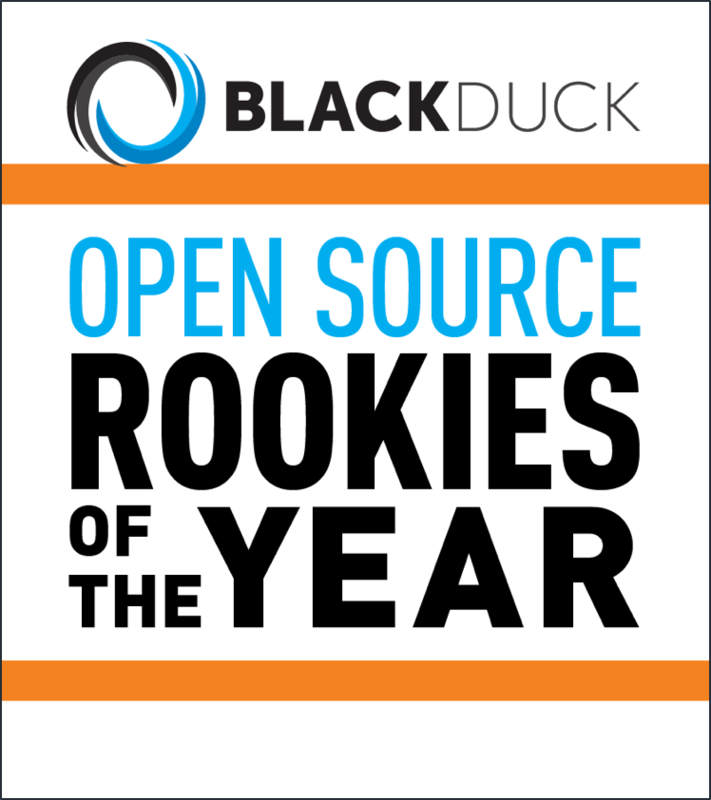 Open source management software company Black Duck has announced the eighth annual ‘Open Source Rookies of the Year‘ to recognise the top new open source projects initiated in 2015. The firm says that the selected projects show how ‘diverse and ambitious’ open source software development has become. • Docker Containers: Docker, a 2013 Rookies of the Year selection, established containers and DevOps as the heirs apparent to server virtualization. In 2014, a number of Docker ecosystem players emerged, and the trend continues this year with several, including projects sponsored by Red Hat and Capital One. • Open Collaboration: Email isn’t dead, but it’s not as important as it used to be. The success of Facebook messaging and Skype for personal use fuels demand for similar solutions in the office, with real-time tools like Slack and GoToMeeting becoming standards. However, proprietary solutions face competition from open source alternatives which promise all the same features of the originals, but without the lock-in downside of proprietary solutions. • Artificial Intelligence: We may be a long way yet from truly “sentient” machines, but development teams are helping computers get smarter at getting smarter. Deep learning techniques aim to teach computers to teach themselves by using a system of multiple processing layers to model the neural network of a human brain. This year we recognize two new projects in the field of deep learning. • Rocket.Chat – an open source web chat platform built for communities and companies wanting to privately host their own chat service. • Mattermost – an open source, on-premise Slack alternative, written in Golang and React. • Hubl.in – a free and open source video conferencing solution. • MXNet – a lightweight deep learning library created by DMLC, the people behind CXXNet, Minerva and Purine2. • Bazel – a subset of Google’s internal software development tools, building software quickly and reliably through a shared code repository in which all software is built from source. • Nulecule – a specification for packaging complex multi-container applications while ensuring smooth deployment across all instances. • InSpec – an open source compliance testing framework for specifying compliance, security and policy requirements. • Hygieia – Capital One’s enterprise DevOps dashboard, released last year as an open source project on GitHub. • Glucosio – the world’s first open source diabetes monitoring application. • Honorable Mention: Vault – a tool for securely accessing API keys, passwords, certificates, employee credentials and other sensitive resources. • Honorable Mention: RancherOS – a miniscule Linux distribution specially designed to be the easiest way to manage Docker containers. • Honorable Mention: OWASP Security Knowledge Framework (SKF) – a free, open source web app security system based on OWASP security standards. “This year’s Rookies are impressive examples of how far open source has come, with start-ups like Mattermost and Glucosio as well as big players like Google, Facebook and Red Hat leveraging the open source community to help drive innovation in everything from DevOps and Docker container solutions to diabetes monitoring and real-time communication,” said Patrick Carey, director of product management at Black Duck, who headed the Rookies selection process. “These are sophisticated initiatives where the open source approach is a core part of the business strategy for speeding development, promoting adoption and providing the most value to their customers,” Carey said.